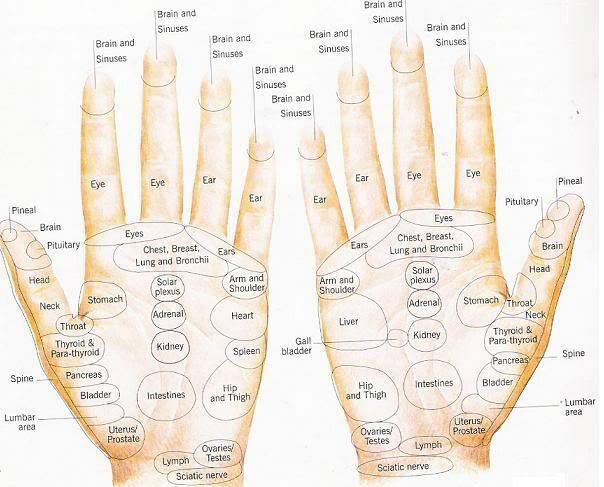 In the field of reflexology, the reproductive organs have reflex points that are represented in both the hands and feet. On the back of the hand just above the wrist bone lays the pressure point for the entire reproductive system. The width is about the same as one’s index finger. On the foot reflexology map, the pressure point is shown right on the upper curve of the ankle where the feet and the leg meet. The entire length would be from the outside ankle bone up to the inner ankle bone. This is where pressure is applied for the benefit of the Fallopian tube, groin and iliac lymph nodes. 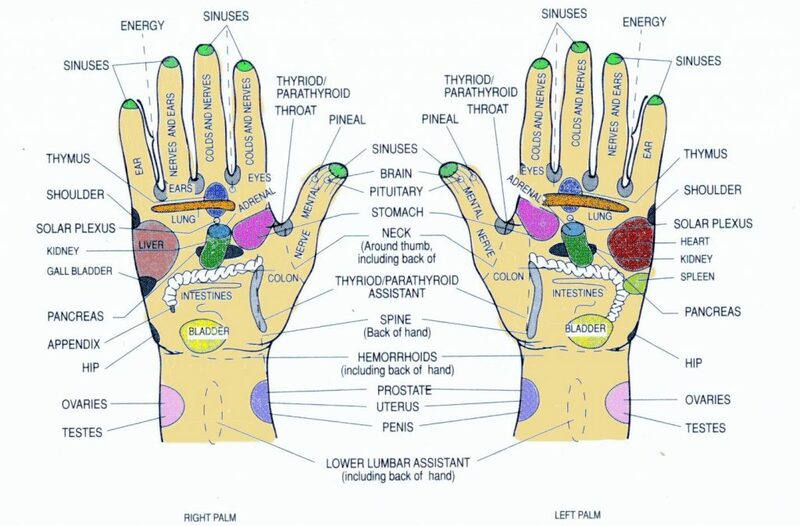 The pressure points for the testicle and ovary are found on the hands only. Within the pressure point of the Fallopian tube, groin and iliac lymph nodes, directly above the wrist bone is the area for the testicle and ovary. It is just a small area which would probably feel like the tip of one’s tiny finger. The prostate glands and uterus are represented on the opposite side of the pressure point of the testicle and ovary. They are about an inch apart, located in the inner side of the back hand. Similar to the pressure points of the testicle and ovary, it is also not present in the reflexology map of the foot. For the females, this is especially helpful in times of premenstrual cramps and dysmenorrhea, where the uterus and ovary is under extreme stress. There is a tight feeling of tension within the body as if the uterus is being choked. However, that feeling is only caused by the swelling brought about by the hormonal changes in the body during this time of the menstrual cycle. Constant pressure applied to this area will relieve affected females of the menstrual pain that could often lead to being immobile for a day or two. Pain relievers have been formulated to help ease the pain; however, some users of this drug have developed immunity to its numbing effect that they are required to take large doses before finally feeling the ease. Reflexology will allow the blood to circulate and release tension in the Fallopian tubes to enable the menses to be released immediately. The main objective of reflexology is to relieve tension and stress on any given body part or organ by applying enough pressure on the reflex points. The application of reflexology especially during the vulnerable days of menstruation will provide welcome relief. It is also a good alternative to massaging the lower back which can ache very badly during menstruation. It has been said that massaging the lower back during the period of menstruation is not good because the reproductive system is very vulnerable and soft at this time and massaging it could cause the uterus to be misaligned. Though the truths to this claim have not yet been cemented, it would be safe to keep the massaging on one’s hands and feet until the tide is over and just keep the pain reliever pill dosage sporadically.